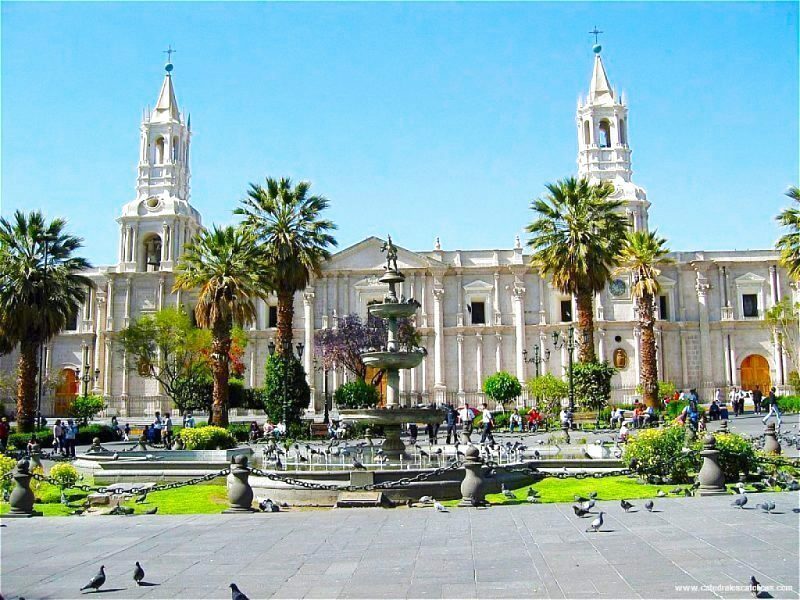 Known as the "White City" for its architecture sculpted in sillar, Arequipa shines favored by a climate always sunny all year round. 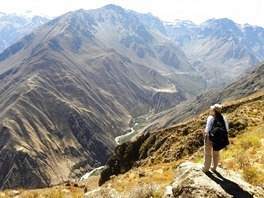 Its blue sky invites you to walk and admire the beauty of its monuments, snow-capped mountains, volcanoes and deep canyons. Enjoy its exquisite cuisine will be the perfect complement for your trip. 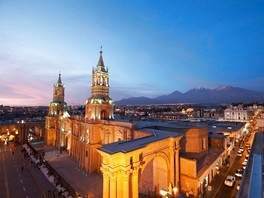 Arequipa: Pick up from your respective hotel. 7:30 a.m. - 8:00 a.m. - Mobility passes through the different hotels to start our journey to one of the deepest canyons in the world, taking the Yura road, bordering the Chachani snowy towards Pampa Cañahuas (Aguada Blanca National Reserve and Salinas) habitat of the beautiful South American camelids, the vicuñas. In the Tocra Bofedales we can appreciate a variety of migratory birds, among which are the flamingos. We will pass through the crater of an extinct volcano (Chucura). We will stop at the Mirador de los Volcanes, which is also the highest part of the road (4,800 masl) from where we will appreciate much of the western mountain range. 1:30 a.m. to 2:00 p.m. - Arrival in Chivay. Installation in the hotel. Lunch (at the traveler's expense). 5:00 pm - In the afternoon we will enjoy the Thermal Baths in La Calera (income not included) whose thermo medicinal waters oscillate between 35º to 38º of temperature. 8:00 pm - Dinner accompanied by a folkloric show. 6:00 am - Continental breakfast. 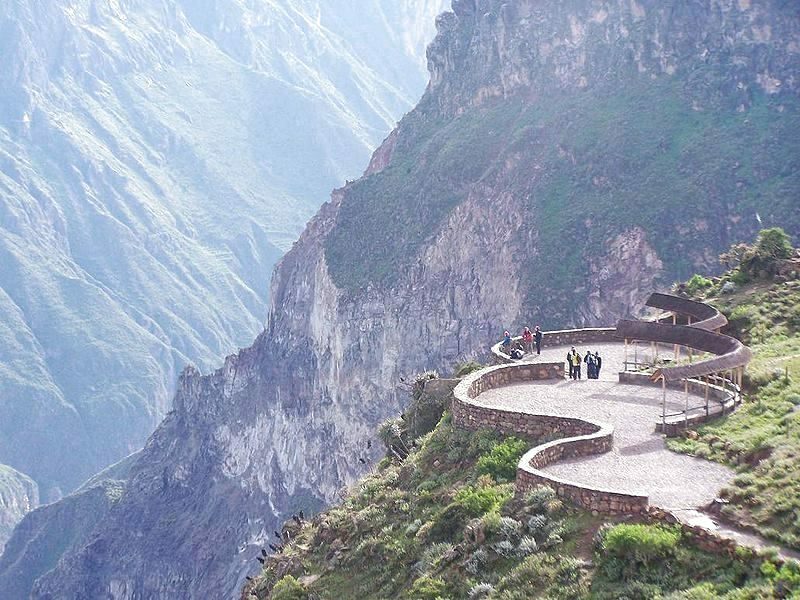 6:30 am - We will go to the Mirador de la Cruz del Cóndor, strategic point of observation of the canyon and the spectacular flight of the condor. In return we will stop in the towns of Pinchollo, Maca and Yanque; They have beautiful colonial churches, as well as in the viewpoints of Choquetico and Antahuilque, from where we will observe the impressive andenería of the valley, the pre-Inca tombs and models. 1:00 pm - Return to Arequipa. 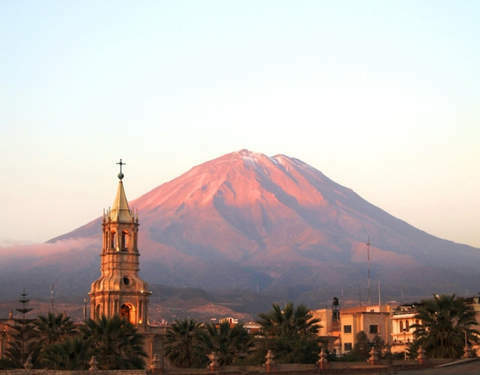 5:00 a.m. to 6:00 p.m. - Arrival in Arequipa. 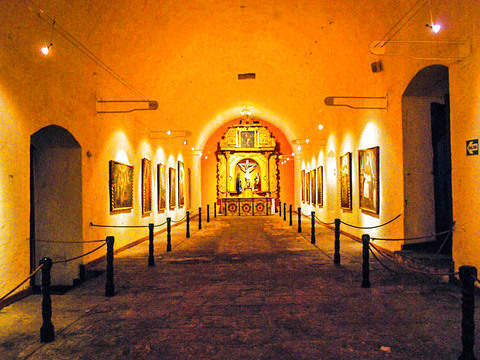 Official tourism guide in Spanish or English. 1 Night Accommodation in Chivay. 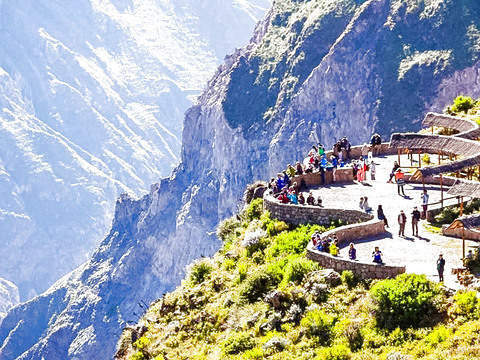 Complete tour to the Colca Valley and traditional villages. 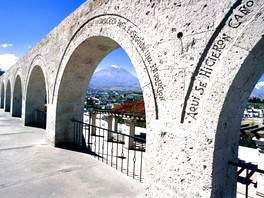 Entrance to the Thermal Baths "La Calera" (S / .15). Food (Lunches, dinners, snacks and drinks). Valid to buy from Monday to Sunday, including holidays and business days. Children: Children under 4 years old can go on their parents' legs. From 5 years old, they pay full price. Service is provided in Shared Mode (with more passengers in the group). 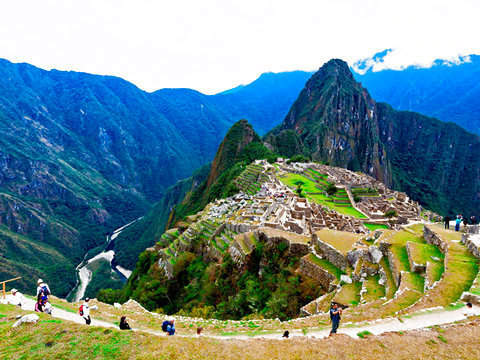 Service is subject to variation without prior notice, due to weather issues (rain, mudslides, overflows, etc), strikes and / or demonstrations and any other event that does not allow the normal development of the itinerary. If you decide to withdraw before the end of the service, no refund applies either. If you bring or buy snacks during the tours, preferably they are light (dried fruits, cookies and water). If you do not attend the service day, it will be considered "Done" without any Claims, Delays or Returns. 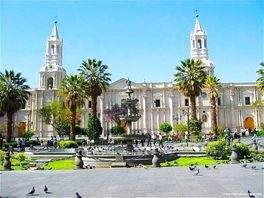 Hotels located in the center of the city, a few blocks from the Plaza de Armas. They provide a quality hotel infrastructure with the best customer service and the warmest atmosphere. They have private bathroom, hot water.